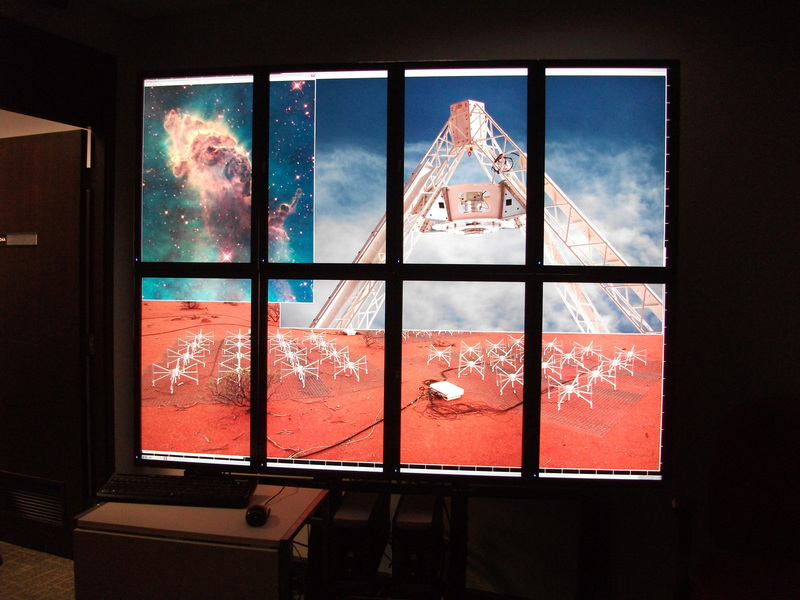 Presenting a recently installed high resolution display, the design goals and final hardware solution. 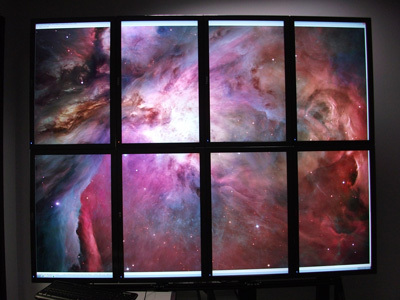 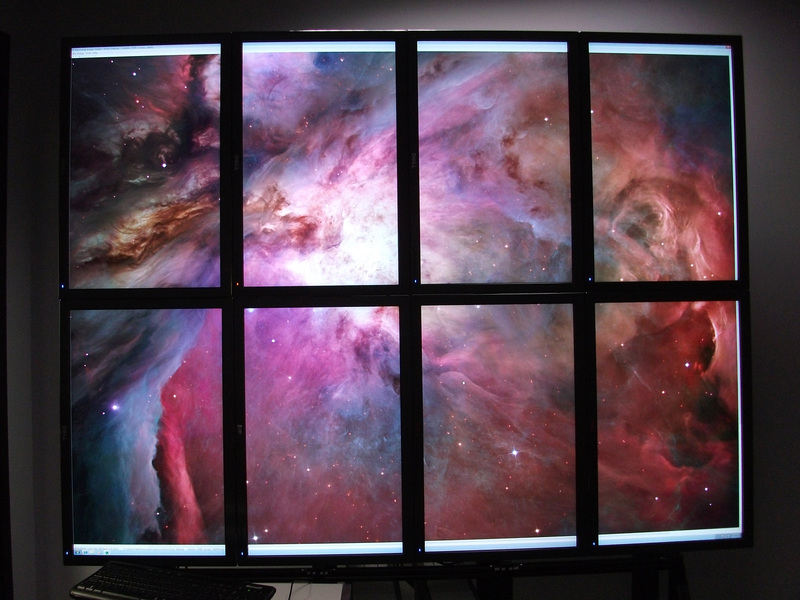 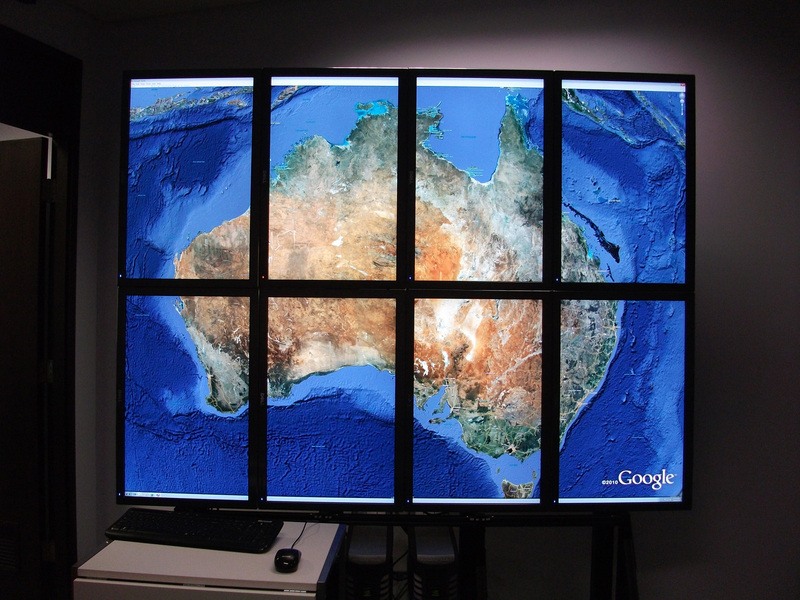 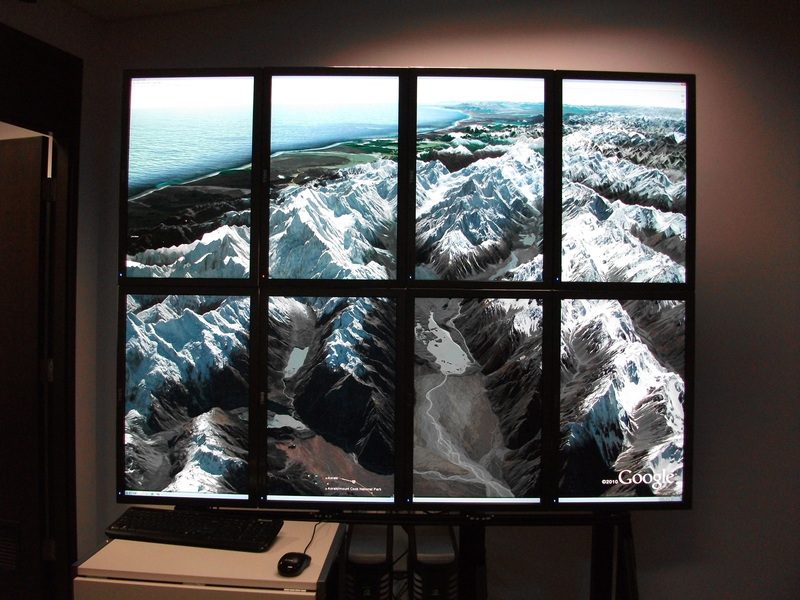 A key goal was to have a display that could run any software and maximised the number of pixels available. 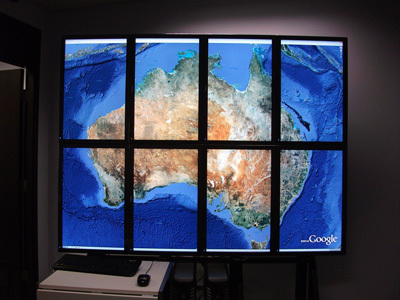 Examples from a few application fields will be demonstrated, including GoogleEarth and pyramidal tiff images.